Paddock sprinklers fixed and working – and it only took 5 hours of wrangling pipes and ridiculous joiny things that are clearly not designed to be able to be put in or disconnected by any mere mortal ( or at least the mere mortal kind who are totally un-handy and clueless about anything vaguely mechanical). 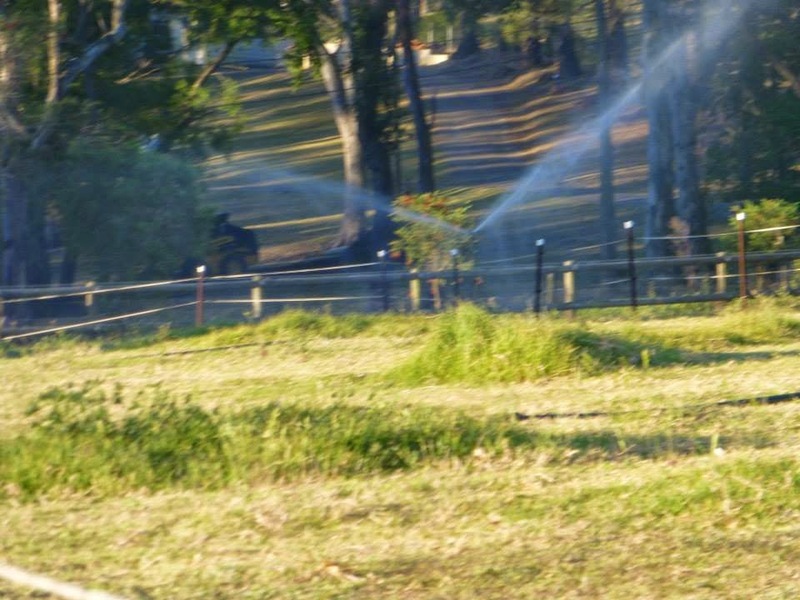 That’s only 2 ½ hours per sprinkler… and I would still be there had it not been for my very kind farmer neighbour who took pity on me and insisted on fixing / replacing sprinkler heads, connections and stands – thanks Bill!! !